In this issue of The Irish Garden : The Irish Garden magazine is Ireland's top-selling garden magazine with over 5,000 subscribers. It is an associate publication of Garden.ie, linking the biggest base of gardening knowledge online in Ireland with the most up-to-date and timely information for success in your own garden right now. 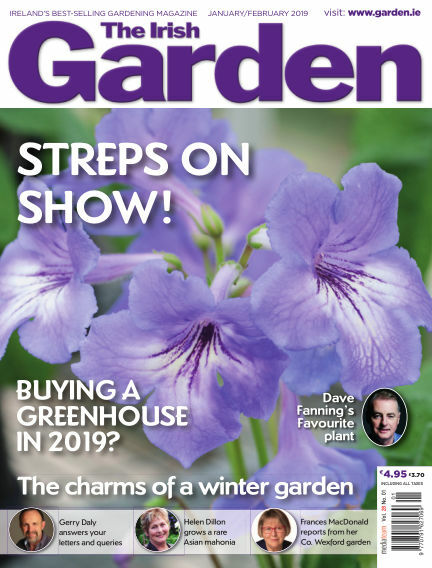 With Readly you can read The Irish Garden (issue Jan Feb 2019) and thousands of other magazines on your tablet and smartphone. Get access to all with just one subscription. New releases and back issues – all included.